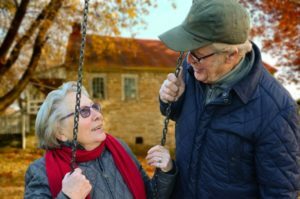 When it comes to purchasing life insurance, seniors face significant challenges because of their age and probable health issues. Fortunately, over the last ten years or more, the insurance industry has responded by developing life insurance products that are designed to allow seniors to purchase affordable insurance policies with lower death benefits that are designed to cover final expenses. According to the National Funeral Director Association, the current cost of a moderately priced funeral has increased by about 29% from 2004 to 2016. Regretfully, these increases are expected to continue going forward. In today’s marketplace, an average priced funeral costs about $10,000 and does not include the costs for a cemetery plot or the services the cemetery typically supplies. Why a Final Expense Policy? Is Final Expense Term Insurance or Whole Life? Typically, all final expense policies are Whole Life Insurance policies. This means that the coverage is guaranteed for a lifetime as long as the required periodic premium is paid. The periodic premiums are guaranteed to remain the same throughout the policy period. The insurance company cannot increase your premium because of your age or any illness, and more importantly, they cannot cancel your policy (as long as you make your payments) unless you ask them to. Finally, since your coverage is Whole Life Insurance, the policy will build cash value over your lifetime that you can access for any reason.